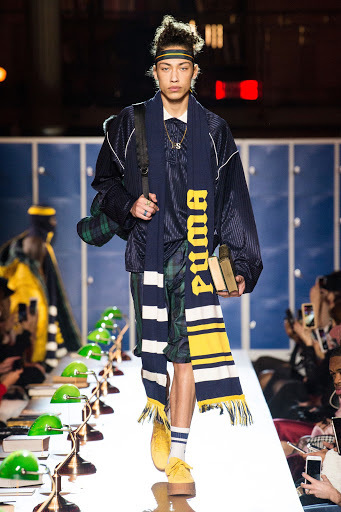 Rihanna used her Fenty x Puma show in Paris as a way to put a twist on the collegiate style, a runway laid and housed at the book-lined atrium of the Richelieu-Louvois Library. 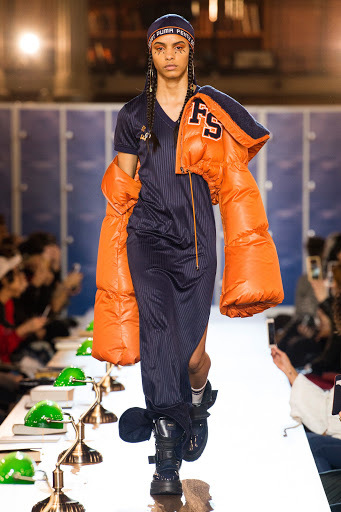 The collection could be summed up when model, Slick Woods came down the runway with that infamous gun tattoo having the kind of look that would get the average student expelled from any educational institution in the world. 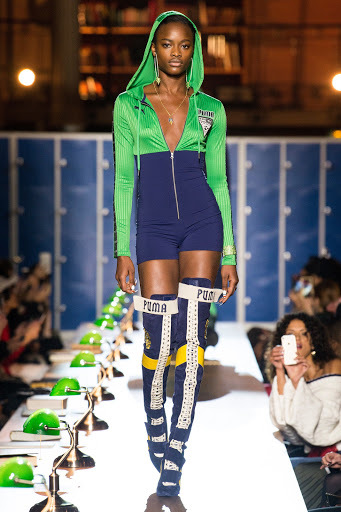 The proportions of the pieces were different, all the way to Rihanna's popular platform sneakers. 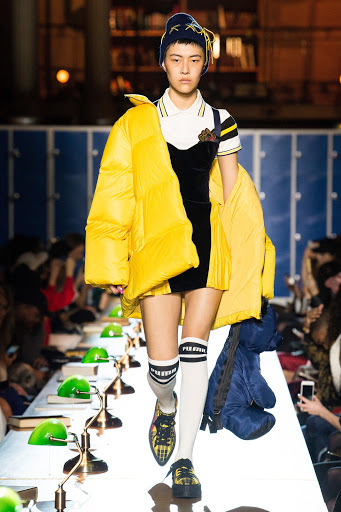 They were tweaked with an even chunkier work boot sole for Fall, co vered with a dizzying array o f collectible finishes, including Clueless-style pre ppy plaids. Think, clueless goth college student. 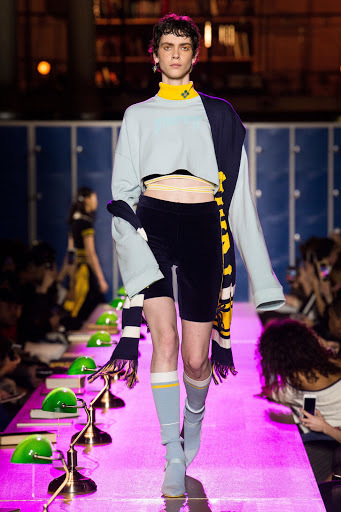 I could live in the sleek midi-heel sock boots which looks like a cozy, posh ev olution of the killer stiletto thigh-highs she introduced with the debut collection. 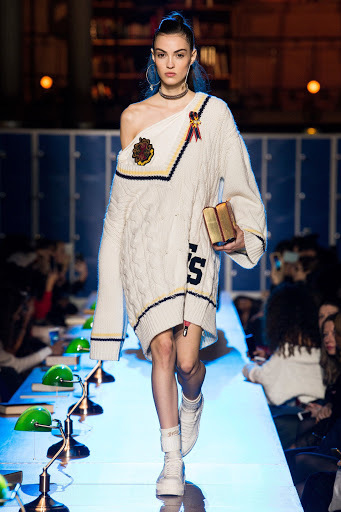 Rihanna is such a st argirl who has done her homework, we are left to study this designer in the making.